In late 1983, looking for the subjects and locations that would bring the desolate landscape of the American West to life for his iconic film Paris, Texas, German filmmaker Wim Wenders took his Makina Plaubel 6 x 7 camera on the road. Driving through Texas, Arizona, New Mexico and California, Wenders was captivated by the unique, saturated, colorful light of the vast, wild landscape of the American West – even in the 20th century, a land associated with cowboys and outlaws, and suffused with the mythology of the frontier. The series he produced, Written in the West, was first exhibited in 1986 at the Centre Pompidou in Paris, and first published in 2000. 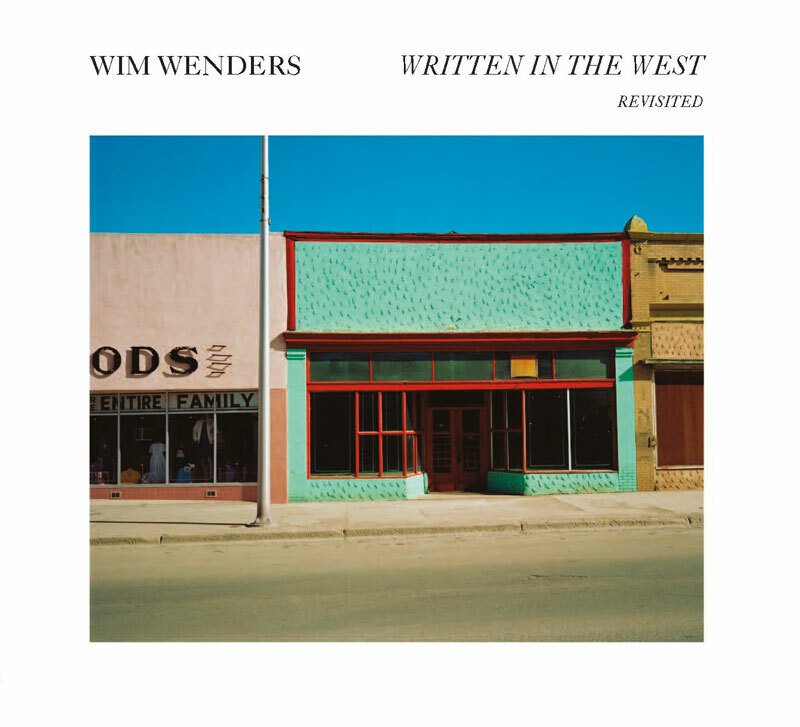 Roughly three decades later, in this expanded edition, Wenders adds 15 new images of the sleepy town that gave the movie its name – though no footage was ever actually shot there. Made with a Fuji 6 x 4.5 camera, the new photographs are poetic documents of an abiding fascination and a search for personal memories. Together, they add an essential new chapter to Wenders‘ classic Written in the West, now Revisited.